Pioneering new ideas and delivering science-based quality and systems improvement, the new Marcus Stroke Network will help develop life-saving strategies in stroke care and serve as an advanced model for a region impacted by stroke at disproportionate rates. ATLANTA, March 22, 2018 — The Marcus Foundation has donated $15 million to establish the Marcus Stroke Network, a coordinated and collaborative effort among Grady Health System, Emory University School of Medicine, Boca Raton Regional Hospital and the American Heart Association/American Stroke Association to help reduce stroke disability and death rates in the Southeastern United States. Extend the world-renowned stroke expertise of the Marcus Stroke Network physician team by using innovative telemedicine technology to aggressively accelerate early and definitive stroke treatment. Establish the region’s first Mobile Stroke Unit, a specialized ambulance equipped with a CT scanner that allows medical teams to initiate lifesaving treatment for stroke patients before they reach the hospital. Implement a new paradigm of acute stroke care by initiating a direct “ambulance to angiography” approach. Support paramedics providing pre-hospital care to help with the diagnosis and triage of stroke patients to the nearest appropriate hospital, thereby optimizing treatment and community resources more effectively. Enhance the quality of care at participating Marcus Stroke Network hospitals and ensure long-term sustainability through a Regional Coordinated Stroke System of Care. “This aggressive, action-focused program is a unique decision support system driven by technology, real-time outcomes, and scalable solutions,” says Marcus Stroke Network director Michael Frankel, MD, professor & director of vascular neurology, Emory University School of Medicine, chief of neurology and director of Grady’s Marcus Stroke and Neuroscience Center. According to Frankel, vascular neurologists and other medical professionals at Emory and Grady will provide real-time stroke guidance to emergency medicine doctors at remote sites around the region, helping make diagnoses and treatment recommendations for patients who have had acute strokes. A major focus of the Marcus Stroke Network is providing timely, accurate, and evidence-based quality care to stroke patients. This approach will be guided by the science and expertise of the American Heart Association/American Stroke Association. Assessing and treating stroke patients accurately and quickly is the goal of all entities involved in stroke care, and a result of the science and guidelines established by the American Heart Association/American Stroke Association. “One of our important quality measures for partners recruited to participate in the Marcus Stroke Network will be working to achieve the highest levels of patient care in our ‘Get With The Guidelines-Stroke’ program, ensuring consistent adherence to the latest scientific treatment guidelines,” said Dianne Foster, the American Heart Association’s Greater Southeast Affiliate vice president for quality and systems improvement. Frankel and his colleagues have been working for more than 25 years on testing innovative and new treatments to reduce the death and disability of this common disease. His team helped pioneer treatments in stroke including mechanical thrombectomy and intravenous tissue plasminogen activator, commonly called IV t-PA or alteplase. Both are now a standard of care for patients with ischemic stroke who meet specific treatment criteria in the emergency setting. Ischemic stroke, caused by cerebral artery blockage, is the most common form of acute stroke. According to Frankel, the use of alteplase has not been effectively implemented at hospitals with limited capabilities in stroke care. The Marcus Stroke Network brings the stroke expertise of Emory and Grady neurologists to the bedside using a telemedicine approach to more rapidly identify patients who will benefit from treatment. Earlier treatment increases the chances of survival with minimal or no disability. Stroke specialists working for the Network will be able to communicate with participating hospitals, using cutting edge real-time technology including digital video cameras, Internet telecommunications, tablets and other technology to rapidly assess and treat patients with acute stroke symptoms. The system will also enable remote guidance of local follow-up care to optimize stroke prevention strategies. In addition, the Marcus Stroke Network’s mobile stroke ambulance will operate through Grady’s renowned EMS system, linking the Network doctors directly to patients in the field by utilizing an on-board CT scanner to facilitate the earliest treatment with alteplase possible for eligible patients. Building on the success of Grady’s Marcus Stroke & Neuroscience Center in developing and testing the most cutting-edge treatments in acute stroke (e.g. mechanical thrombectomy), the new Network is implementing innovative strategies to more rapidly identify patients with acute stroke in the field and directly transport them to the neuroangiography suite (aka “direct to angio”). According to Raul Nogueira, MD, professor of neurology at Emory University and director of Grady’s neuroendovascular service, “This approach substantially reduces the time from major arterial occlusion in the brain to definitive therapy with mechanical thrombectomy.” Nogueira says such approaches help minimize brain damage and promote recovery. “We know that every second counts after a stroke and the mantra ‘time is brain’ is critically accurate. This innovative and collaborative effort will help expedite treatment for the people of this region and ultimately lead to lives saved,” says John Haupert, president and CEO of Grady Health System. “It builds on a strong track record of excellence in stroke care and therapeutic discovery provided by the American Stroke Association and physicians at both Emory and Grady, as well as the generosity of Bernie and Billi Marcus and their Foundation, which has helped saved thousands of lives in Georgia,” adds Haupert. “This generous gift will allow us to combine strengths and capabilities with our esteemed partner organizations to improve access to high quality services and increase healthcare capability in communities across Georgia,” says Jonathan S. Lewin, MD, Emory’s executive vice president for health affairs and CEO of Emory Healthcare. The Marcus Foundation, founded in 1989, has a long history of health-care philanthropy with a vision of improving stroke care through collaborative efforts. The Marcus Stroke Network, endorsed by Georgia's Department of Public Health, will also provide a 24/7 call center serving as Georgia's first centralized resource for paramedics to assist with decisions about diagnosing stroke and indicating to the paramedic the location of the nearest appropriate hospital destination for treatment. Boca Raton Regional Hospital’s Marcus Neuroscience Institute will also be a collaborating partner in the new network. “We are enthused to be part of this initial consortium with such outstanding and accomplished partners as Emory and Grady,” says Frank Vrionis, MD, MPH, PhD, Director of the Institute. Stroke is a leading cause of death in the United States and the leading cause of long term adult disability. Georgia is part of the nation’s stroke belt, an 11-state region where scientific studies indicate the risk of stroke is 34 percent higher for the general population than it is in other areas of the country. The American Heart Association and the American Stroke Association are devoted to saving people from heart disease and stroke – the two leading causes of death in the world. We team with millions of volunteers to fund innovative research, fight for stronger public health policies, and provide lifesaving tools and information to prevent and treat these diseases. 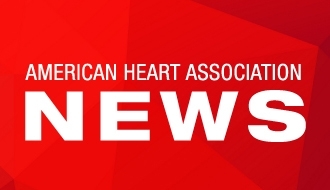 The Dallas-based American Heart Association is the nation’s oldest and largest voluntary organization dedicated to fighting heart disease and stroke. The American Stroke Association is a division of the American Heart Association. To learn more or get involved, call 1-800-AHA-USA1, visit heart.org or call any of our offices around the country. Follow us on Facebook and Twitter. Grady Health System is one of the largest safety net health systems in the nation and includes the 953-bed Grady Memorial Hospital, five neighborhood health centers, and Crestview Health & Rehabilitation Center. With its nationally acclaimed emergency medical services, Grady has Atlanta’s premier Level I trauma center - Metro Atlanta’s only nationally verified Level 1 center - and serves as the 911 ambulance provider for the city of Atlanta. Grady’s American Burn Association/American College of Surgeons verified Burn Center is one of only two in the state. And the Marcus Stroke and Neuroscience Center is a Joint Commission designated Advanced Comprehensive Stroke Center. Emory University School of Medicine has 2,757 full- and part-time faculty and 795 volunteer faculty. Because of Emory's extensive network of cross-disciplinary relationships, patients and physicians have direct access to leading research, and students and researchers observe real-world applications for their studies and discoveries. A national leader in advanced stroke care, Emory offers the greater Atlanta area top-rated Comprehensive and Primary Stroke Centers, certified by The Joint Commission for their state-of-the-art infrastructure, expert staff and skilled training to receive and treat patients with the most complex strokes. The Marcus Neuroscience Institute at Boca Raton Regional Hospital is an innovative nexus for neurologic and neurosurgical care. The 57,000-square-foot facility houses a 20-bed Neuro Intensive Care and Step-Down Unit, four dedicated operating rooms — including one equipped with intraoperative MRI and two with intraoperative CT capability — and a biplane angiography suite, a crucial component in the diagnosis and care of neurological conditions. The Institute has a staff of three neurosurgeons and eight neurologists who represent some of the most respected clinicians in their fields and is affiliated with Florida Atlantic University’s Charles E. Schmidt College of Medicine.